NISHINOMIYA, Japan, March 25, 2019 /PRNewswire/ -- Furuno Electric Co., Ltd. (FURUNO), based in Nishinomiya, Japan, has developed GT-88 and GF-8801/02/03/04/05 for users who require UTC time-synchronized signals to meet the new 5G requirements. They provide UTC time-synchronized timing signals (1PPS/10MHz) by receiving GNSS satellite signals. Achieved stability is better than that of an atomic clock, including a rubidium. The GT/GF-88 series includes a brand-new algorithm, named Dynamic Satellite Selection (trademark) that provides outstanding multipath mitigation, especially in urban canyon environments. This algorithm was developed by Nippon Telegraph and Telephone Corporation (NTT) based in Tokyo, Japan. - Extremely high stability of 4.5ns (1 sigma) is obtained, only requiring reception of the L1 band (1575.42 MHz) frequency GNSS satellites. It was achieved by improving advanced position estimation algorithms and optimizing position calculation among several different GNSS satellite constellations. It allows users to achieve 5G-required performance without any changes to existing single-band GNSS antennas. - It incorporates the Dynamic Satellite Selection (trademark), an advanced multipath mitigation algorithm developed by NTT. Normally typical time synchronization performance deteriorates in urban canyon environments by the effect of multipath. The Dynamic Satellite Selection (trademark) reduces this time error by one-fifth. This provides more flexibility when installing GNSS antennas. Consequently, the GT/GF-88 series now permits GNSS antennas to be mounted on walls, windows of tall buildings and other difficult reception environments. 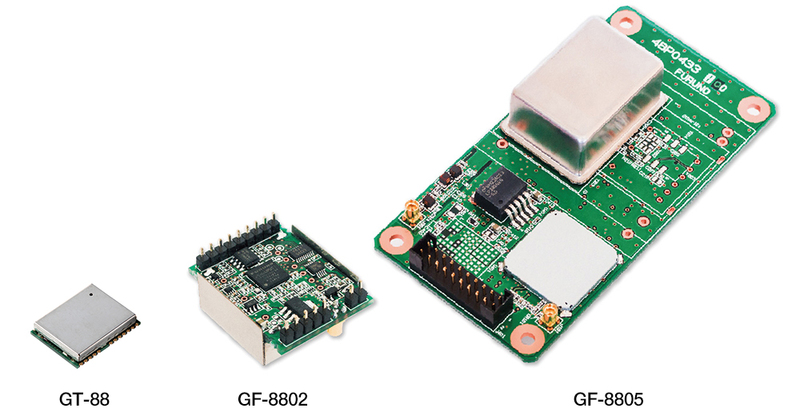 - The GT/GF-88 series continues to support GPS, GLONASS and QZSS satellite constellations, and now adds Galileo support. As the total number of satellites available increases, operational stability also increases. For further information, please refer to the product information website below.